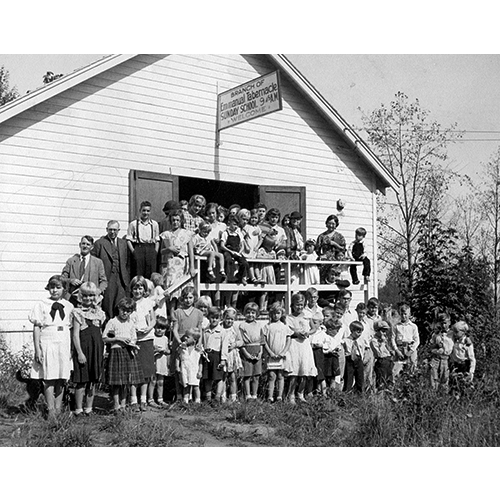 The congregation of Emmanuel Tabernacle mission church at Linwood Heights clusters outside the church in the 1940s. The church name later became Bethel Evangelical Free Church. Photo courtesy of Ruth Rongerude.